Nozzle size is internal hose diameter. Suitable for use on any UK fire hose reel, this jet spray hose nozzle is a simple twist on/off operation that sends water at 12 metres in jet and 4.5 metres in spray form. 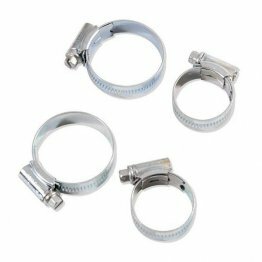 Fitting requires a jubilee clip or crimp clip (not included). This replaces the Pyrene jet spray nozzle. NOTE choose from 19mm or 25mm hose size.